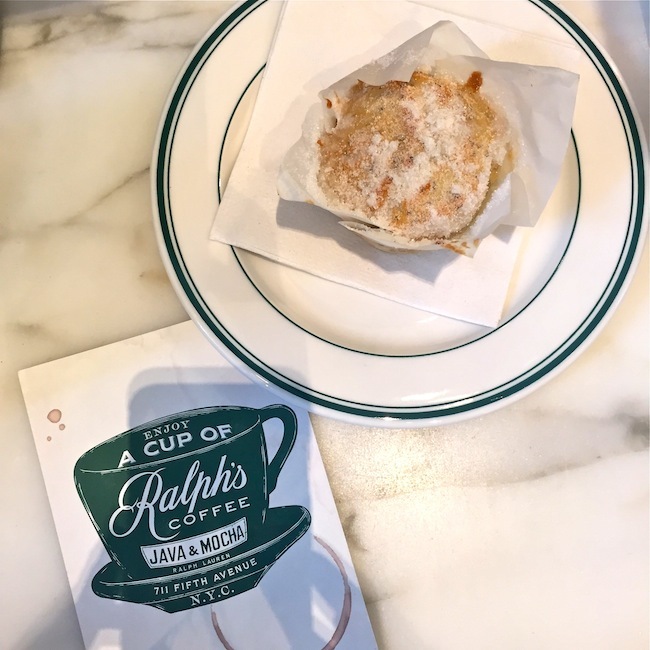 Did you know that Ralph Lauren makes coffee? Neither did I! I was in their newish Fifth Avenue flagship store over the weekend trying to take advantage of their sales for my kiddos, when I got side tracked and discovered a hidden NYC secret. 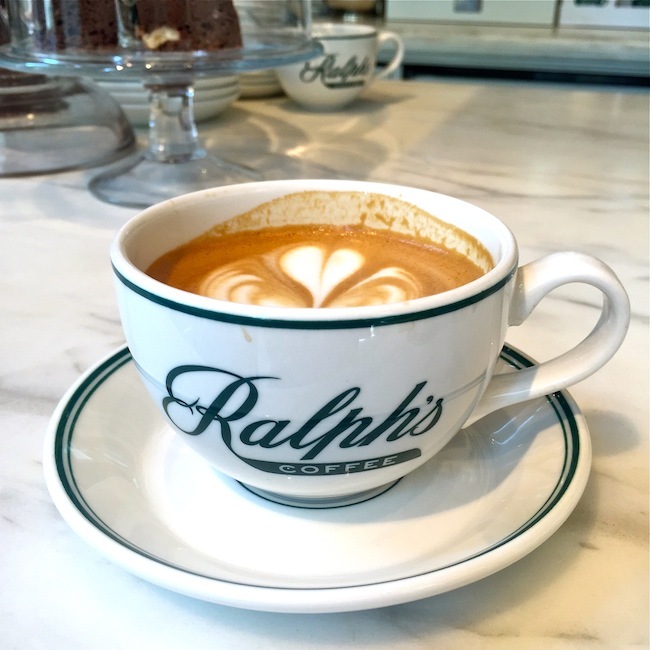 Ta-Da…RALPH'S coffee shop! 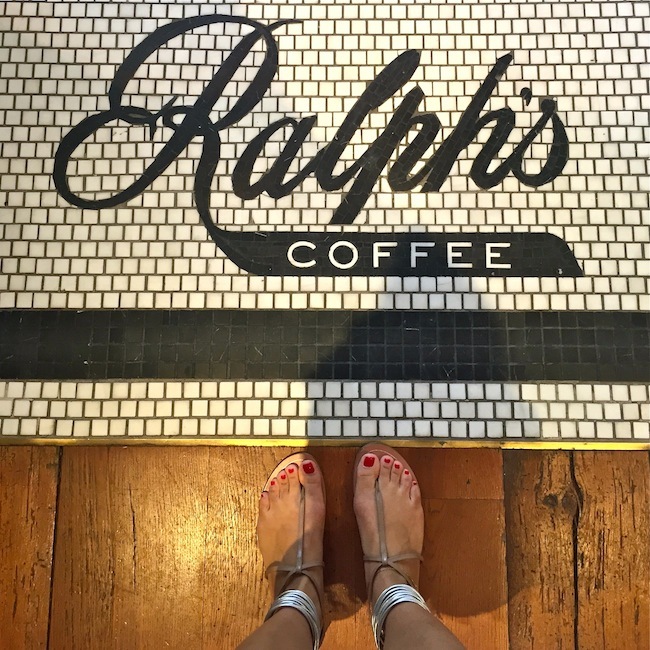 Beats chaotic Starbucks any day, right? 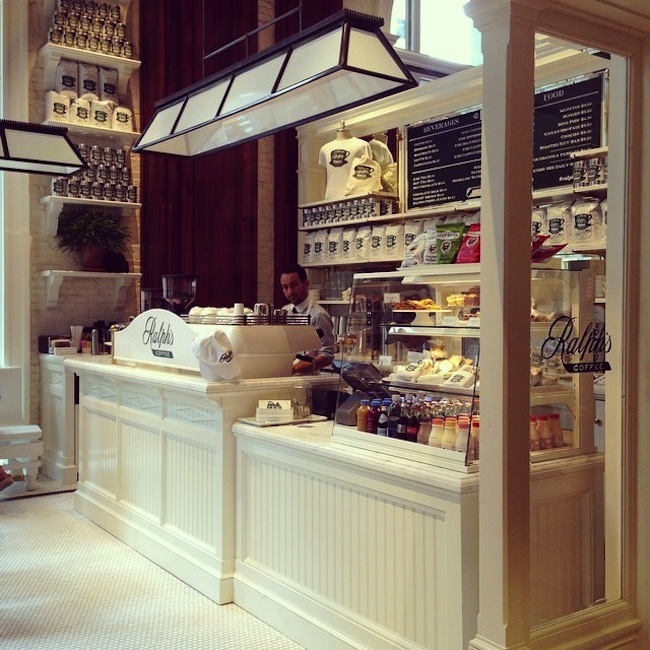 This is the designers first coffee shop, so it is something special. 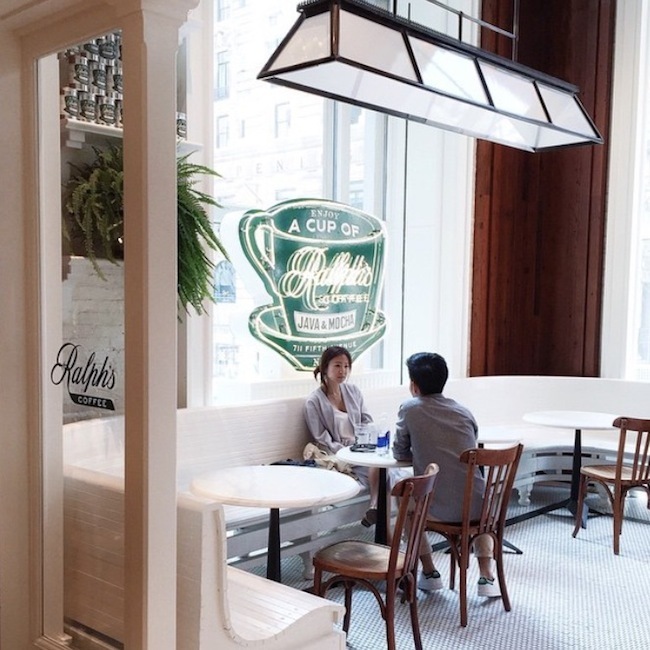 The vintage fixtures and white washed decor that extends into the store creates a pleasant place to take a break from your shopping, or to meet a friend for a cup of joe. Not just limited to coffee - Their lemon poppy flax seed muffin was YUM, and they had a good selection of sandwiches and other sweet treats too. LOVE these hidden gems I stumble upon occasionally!